Liquid biopsy could revolutionise the way patients suffering from certain cancers are treated. Here, PhD student JEANESSE SCERRI explains how. Although most of us often renegade breast cancer awareness to a few weeks in October, the truth is that the disease remains a pervasive one in Malta, with an average of 320 new cases being diagnosed every year according to the Maltese Cancer Registry of 2014. It’s for that reason that those researching new treatments work tirelessly to further the work that’s already been done. One of these people is Jeanesse Scerri, a PhD student who, for the past year, has been working on understanding more about HER2+ (human epidermal growth factor receptor 2-positive) breast cancer, which constitutes one of the three types of breast cancer diagnoses. “Based on an ongoing clinical audit as part of my research, these cases make up to around 11 per cent of Maltese breast cancer diagnoses… Or about 35 new cases per year,” explains Ms Scerri, whose PhD is being supervised by Professor Christian Scerri and Professor Godfrey Grech. As things currently stand, patients suffering from this kind of cancer are eligible for a targeted form of treatment with trastuzumab (Herceptin®), which, unlike traditional chemotherapy, targets tumour cells expressing high levels of HER2 receptor specifically, thus limiting adverse effects to other cells of the body. However, the aggressive nature of this type of tumour and the development of resistance to therapy in a subset of patients, are two important hurdles to overcome. 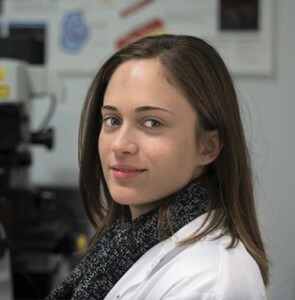 Ms Scerri, as part of the breast cancer research team at the University of Malta, and through collaboration with the University of Athens, is now hoping to introduce the novel technique of liquid biopsy, whereby singular circulating tumour cells are obtained from cancer patients through a blood sample. 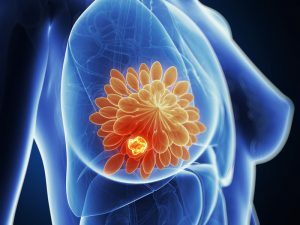 This, as she explains, is done in order to monitor patients’ progress on Herceptin treatment, and studies have already shown that this promising technique could later be applied to the diagnostic setting without the need for an actual, invasive biopsy. “When the opportunity to read for a full-time PhD in breast cancer arose, I grabbed it immediately,” she says. “In the year since I’ve started, I’ve been carrying out a retrospective clinical audit at the Sir Anthony Mamo Oncology Centre to obtain treatment response data for Malta, which, unfortunately, has never been documented before. Once completed, the benefits of the study will be numerous. In fact, while HER2+ is more common in breast cancer patients, other kinds of cancers, including gastric cancers that express HER2+ cells, may also be studied in the same way. More importantly, however, the stratification of cancer patients according to the biological make-up of their tumour will be an important first step towards personalised medicine, where the patient will receive a tailored therapy for better efficacy and with fewer side-effects. Liquid biopsy would also help to achieve this as through it each patient is monitored and his or her response assessed throughout the treatment. Although there is no definite date when the research will be completed, or whether the final results will confirm the initial hypothesis, Ms Scerri’s work could prove invaluable in the fight against this subset of cancer – and that is definitely worth funding!